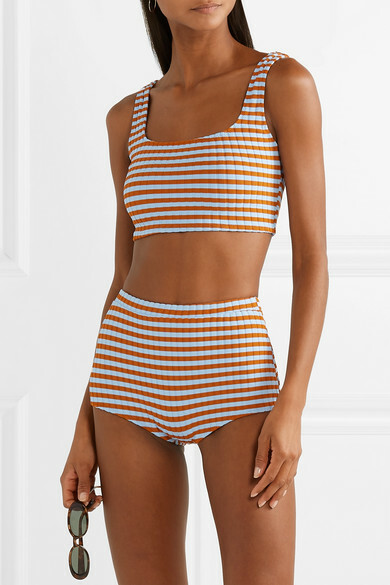 Whether traveling to the Hamptons, St. Barts or anywhere in between, Solid & Striped's 'Jamie' bikini top offers just the right amount of color and coverage. 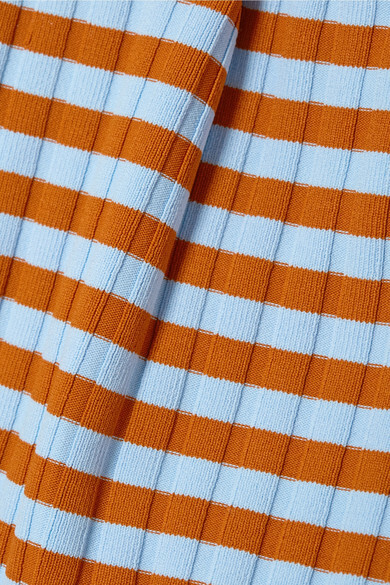 This scoop-back design is made from a ribbed stretch fabric that flatters your curves and is printed with sky-blue and camel stripes. Wear it with the matching briefs. Style it with: Le Specs Sunglasses, Le Specs Sunglasses, Loren Stewart Earrings.